London, England upstarts Honey Lung show their love of early 90’s greats Smashing Pumpkins, Dinosaur Jr, and Sonic Youth clearly on these early recordings. You can imagine the excitement of hearing Smashing Pumpkins ‘Gish’ album for the first time with those swirling guitars and hook heavy choruses. It was a groundbreaking album and one that still stands up to this day. So it is no surprise that the band has had a huge influence on young new artists to this day. Honey Lung might be highly influenced by these sounds, but they still stand their own with new and creative songs. Limited to only 500 copies on white vinyl, this Vinyl Only release collects the band’s early singles together for the first time ever on limited edition white color vinyl. 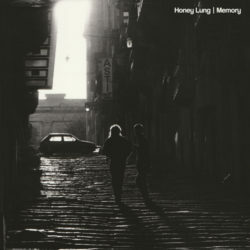 Honey Lung is the first band being highlighted in an initiative called the Music Discovery Program. The idea is to introduce great new artists to fans in a collectors way before they get overexposed on all the digital / social media platforms.